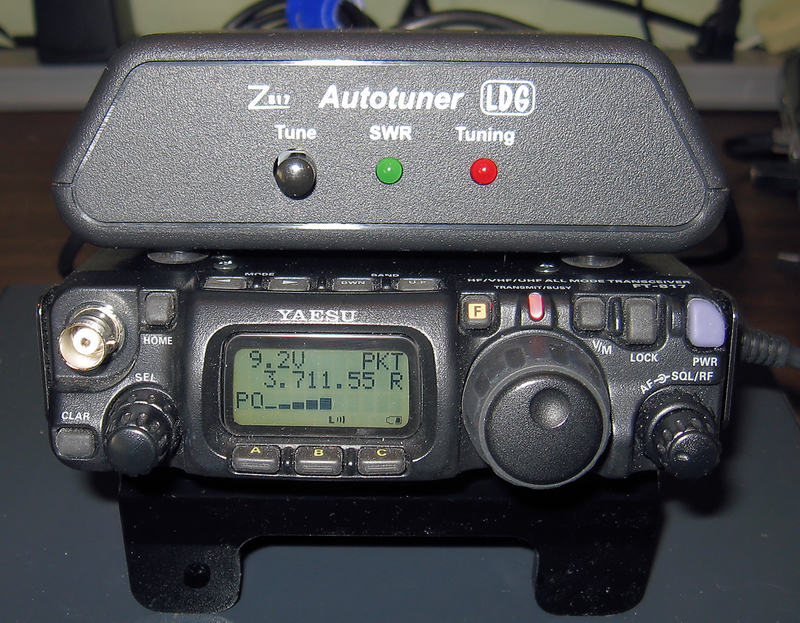 The Z-817 is designed specifically for the FT-817ND and interfaces with the radio through the CAT port. With just the push of the Tune button the autotuner does the rest: automatically sets the mode to PKT, dials down the power and runs the tune cycle. Then it returns the radio to its original settings. It also has 2000 memories to remember previous tune cycle settings and frequencies for other bands. The only option that needed changed in the radio was setting the baud rate to 38400. Can't get much easier than that. I was originally going to pick up a small manual tuner with cross needle meters but the price difference to upgrade to the Z-817 was little more than twenty bucks thanks to a sale at HRO. So it was a no-brainer which tuner to go with. The front panel Tune button plus Tuning and SWR LEDs. The Tuning LED illuminates after pressing the Tune button, the tune cycle runs, switches the radio to PKT mode and keys the transmitter. The green SWR LED momentarily illuminates when a good match is achieved and then the tuning cycle ends. 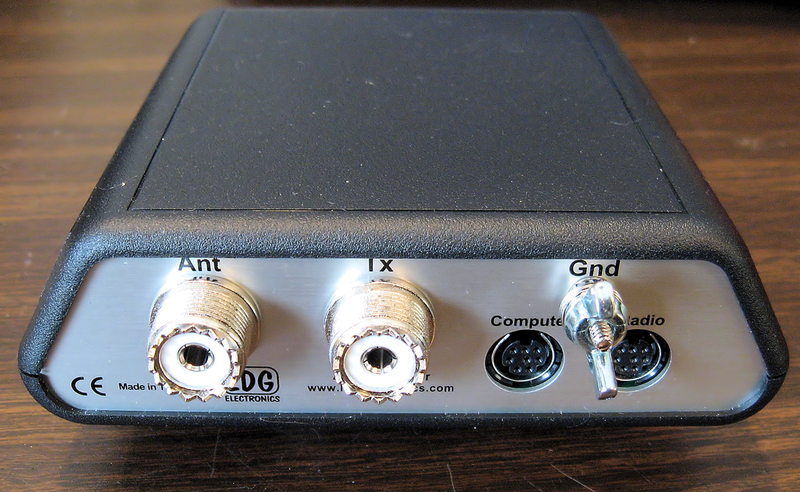 A supplied CAT cable connects the autotuner to the transceiver. There is also a pass-through CAT port to allow connection to a computer at the same time. 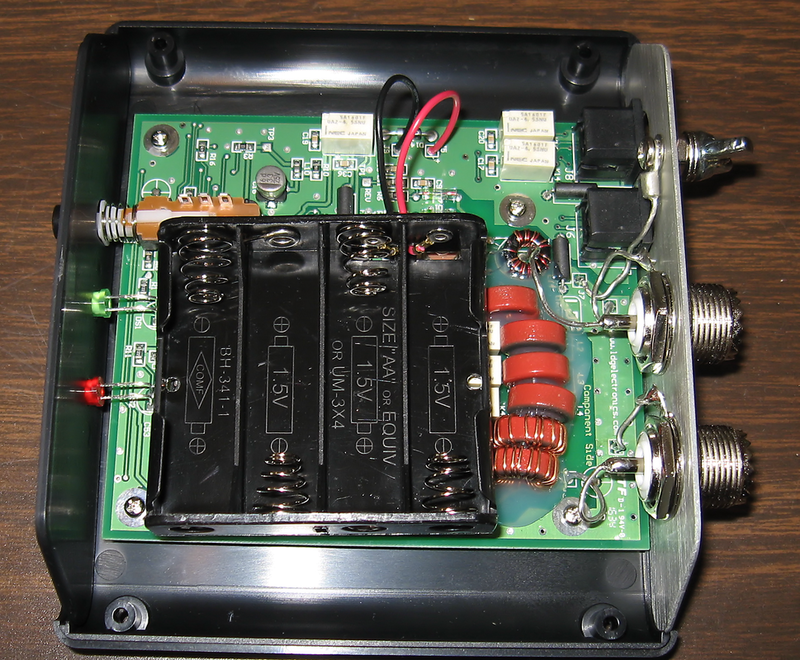 The autotuner runs off 4 AA batteries which are installed by removing the top cover. The tuner doesn't use much power (just during a tune cycle) so the batteries are supposed to last up to a year before needing replaced.